I have bought this for my yet to be born baby grand baby, I am sure she will love it as much as I do. This little princess ceramic carriage bank is such an adorable way for your little one to start saving for the future. 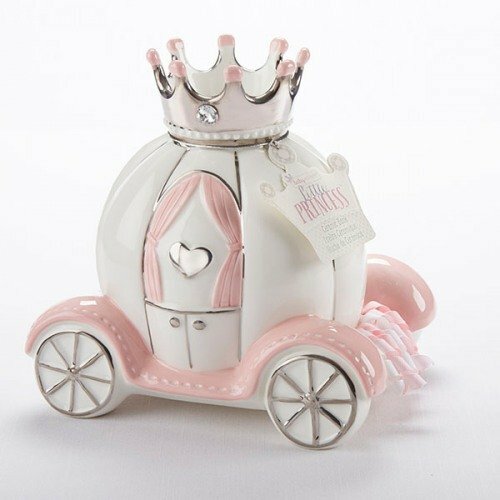 Shaped like a princess carriage, this cute coin bank features a window with pink curtains, a raised 3-D silver heart, silver wheels, a crown, and ribbon detail. It's an adorable piece that your child will enjoy using for years to come.